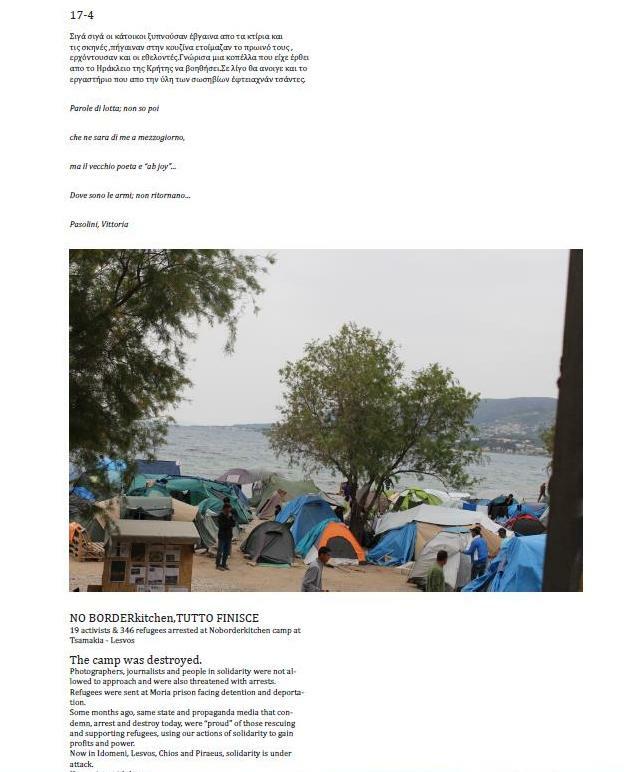 The migration diary is the daily record of events regarding the refugee issue for one and a half month, through news releases and narratives of refugees themselves, alongside poetry excerpts. 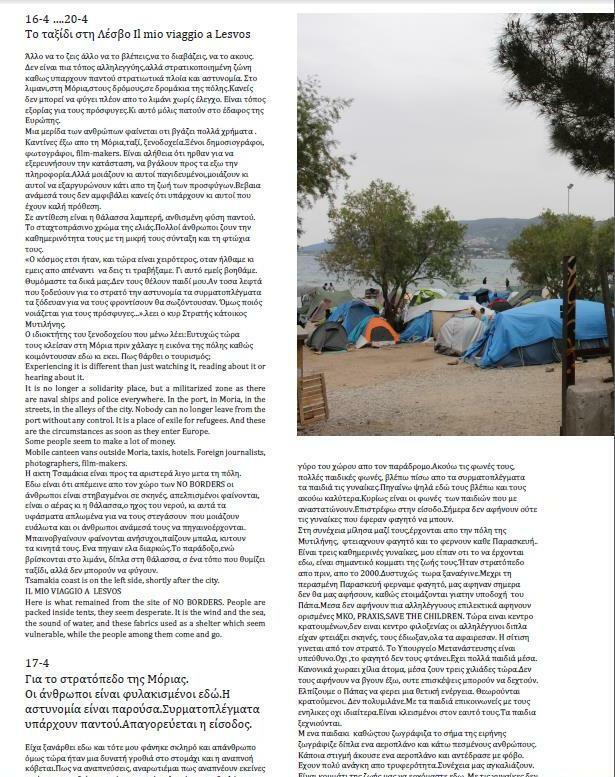 The writer follows the refugees through their routes in Idomeni, in Piraeus, in Victoria Square, in occupations of buildings in Athens, in Lesvos, in miserable places such as the camp of Moria, the plot-cemetery. 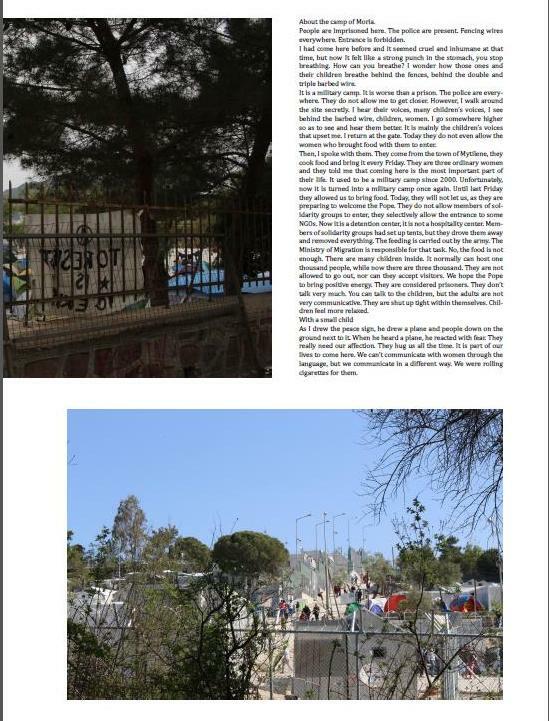 The diary travels through time comparing the camp of Makronissos with modern camps where refugees live confined. 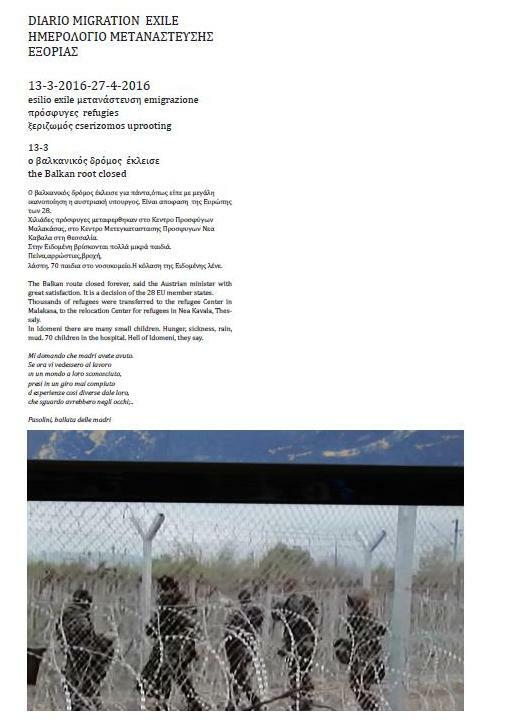 This material is presented in the international architecture exhibition Biennale di Venezia Greek Pavillon 2016, considering it necessary so as to help in understanding the issue in terms of time and space and realize the vulnerability of people and the fencing conditions, but also understand how Architecture can give answers to the refugee issue, initially by studying the issue, by taking part in the daily life and through participatory planning regarding accommodation of refugees in occupied buildings.